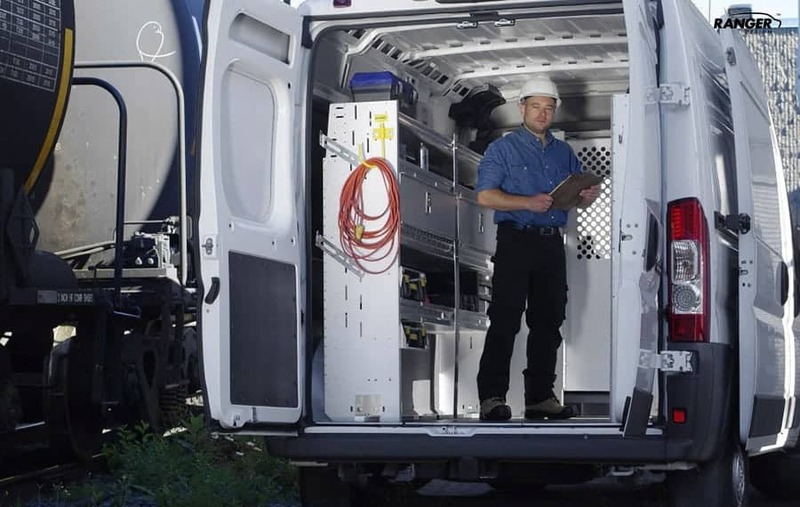 The new steel Fleetline drawer is a true Ranger Design product: Tough, quiet (no annoying rattles) and priced to fit any fleets budget. Launching August 15th, 2013, this unit is available in a 2 drawer (X50-B) or 3 drawer (X50-C) configuration. 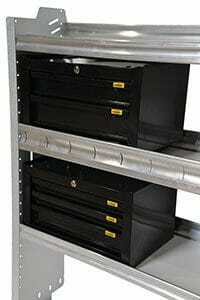 It can be installed on your existing Ranger Design shelf as a single unit or stacked for added storage space. The new parts drawer measures approximately 12 1/2″ deep x 18 1/2″ wide x 10 1/2″ high (both models). 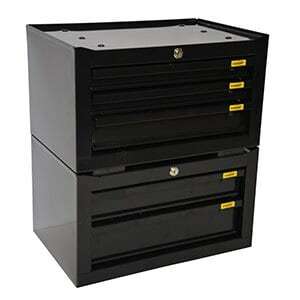 This unit is powder coated black and secures your small tools with a key locking mechanism for all drawers. All drawers roll on ball bearing slides to ensure smooth operation. 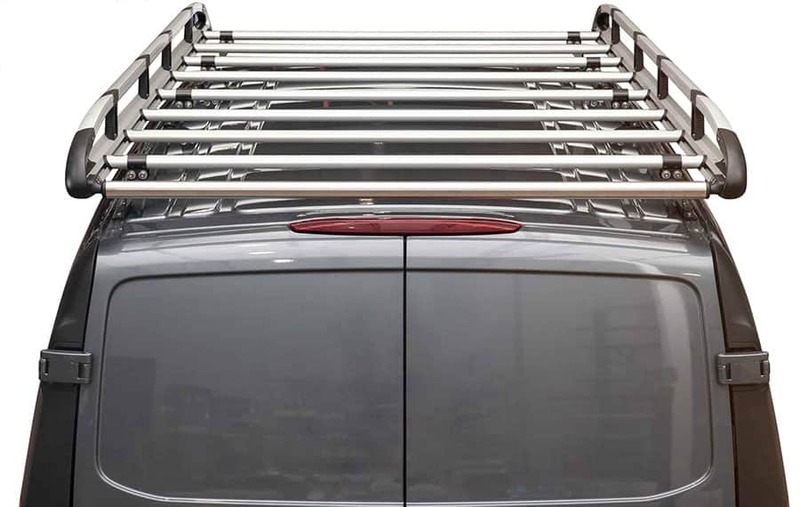 Installation hardware is included with the drawer cabinets to give you flexibility to mount in your shelving unit, directly on the floor of your cargo van or on top of another drawer cabinet. Need it fast? The Fleetline drawer will also be available Quickship. They join the 5010 Partslider and 5020 Tool Drawer as non package products that are available with the industry leading quickest turnaround. Order today from your Distributor with our Quickship service and we will ship the next business day. Please contact your nearby Ranger Design Distributor to see a sample. You will also be able to see a sample of our new Fleetline Drawer at the ICUEE show in October 2013 or the NTEA show in March 2014. The new Fleetline drawer; a cost effective way of keeping your tools organized. To see other drawer units that Ranger Design offers visit https://rangerdesign.com/products/van-drawers/. 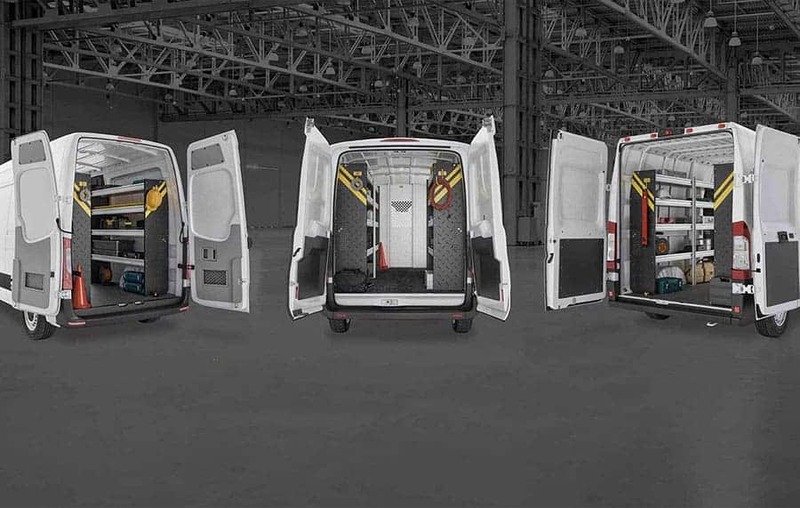 Find your nearest Ranger Design dealer with our dealer locator.